People who renovate their historic homes without first consulting an architect who is an expert in such projects can easily destroy the very qualities that made the home special in the first place. Architect Susan Rochelle’s specialty is making sure a renovated home meets the needs and desires of clients while also preserving the building’s historical integrity. Her designs make subtle, elegant alterations that seamlessly blend old and new. “An ill-conceived project can substantially detract from a historic home’s cozy appeal. And aesthetic considerations aside, a so-called ‘re-muddling’ will likely lower a home’s resale value,” says Susan, who adheres whenever possible to the Secretary of the Interior’s Standards for the Treatment of Historic Properties. Problem No. 1: The renovated home hides the historic building’s original footprint, materials and character. “You want to be sure the new addition is limited in proportion and scale to the historic building. I would design the addition in a way that makes it easy to see what is historic and what is new,” Susan says. For example, let’s say you want to make the living room larger. A common mistake is to simply add to the room’s dimensions, extending the roofline and replicating the original building material. Susan, however, would preserve the building’s historic integrity by interrupting wall planes and rooflines to delineate where the historic structure ends and the new addition begin. “The goal is to make the old home meet the owner’s personal, modern needs while also maintaining the building’s historic character in a seamless, sensitive way,” Susan says. 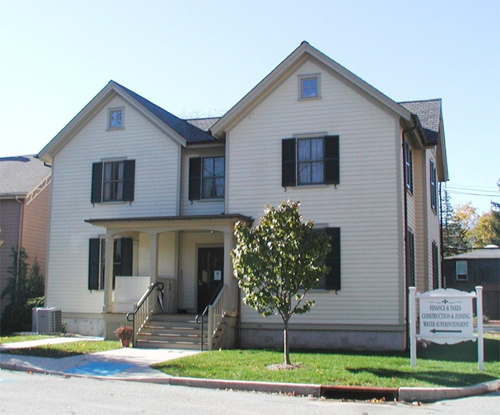 This former home has been converted to adjunct office space for the Town of Clinton, Hunterdon County, N.J. This photo shows the rear of the building, which faces the municipal parking lot. 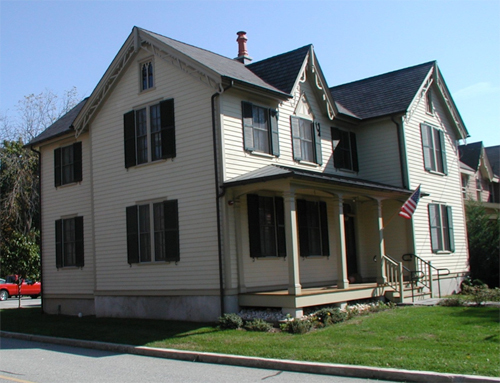 The addition to the original “T-shaped” home (left gable and perpendicular ridge) consists of the right side gable, the new rear entrance and rear porch. The original section is easily distinguished from the later addition by the distinct rooflines and offset corners. Problem No. 2: The renovations are done in prominent locations. “A sensitive design gives the homeowner what he or she needs but doesn’t advertise to passersby that, for example, a cutting-edge media room has been added to the footprint of a circa-1850 home. The addition should be in a location such as the backyard or set back on an inconspicuous side. The ‘curb appeal’ is preserved,” Susan says. The necessary addition to this former home on Leigh St. in Clinton, N.J. is placed on the rear elevation (tucked behind the left-facing gable) to maintain the historic significance of the building’s most prominent façade. Problem No. 3: The project doesn’t minimize the disturbance to the historic home’s original architecture. Let’s say you want to add a mudroom. You’ll need a doorway to get from the original house to the new room. 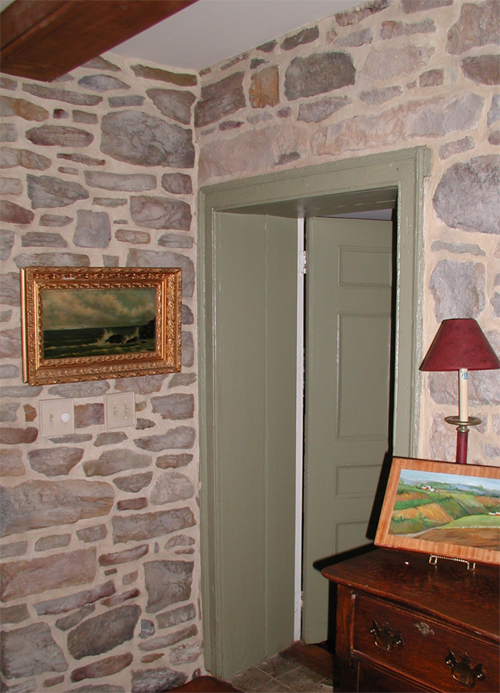 One way would be to simply cut into the home’s original exterior wall and add the doorway there. “But doing that maximizes the damage to the building’s historic character. A less-invasive approach might be to use the space where an original window or door is and create the doorway there,” she says. 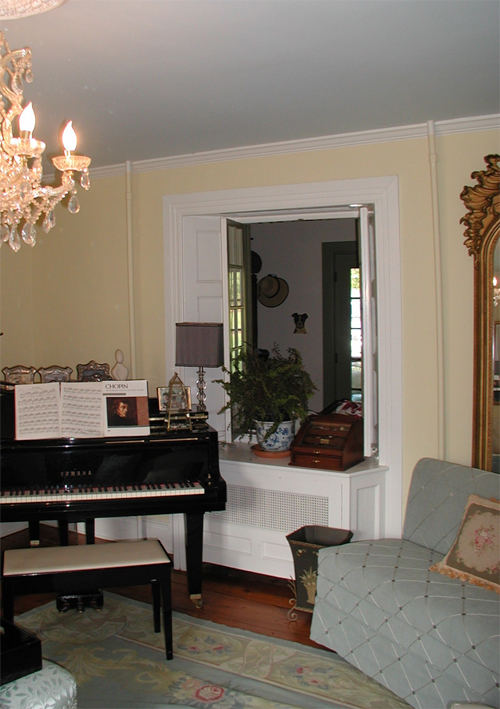 The interior passage between the foyer in this historic home and the newer family room is by way of an original exterior doorway. 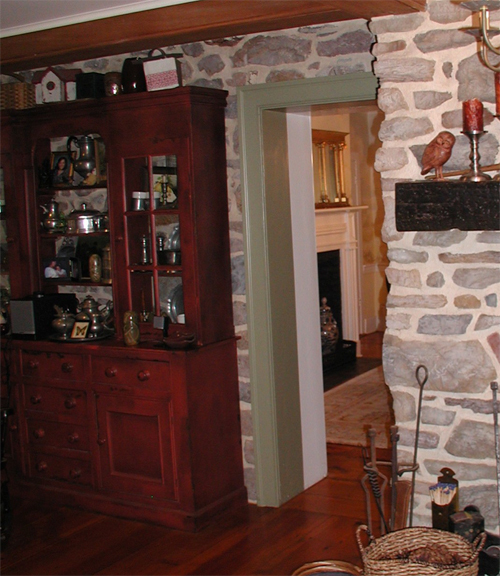 The historic fabric has been preserved in this Hunterdon County, N.J. residence. Formerly a window on the rear façade, this doorway from the new kitchen to the original dining room minimizes the disturbance to the historic materials of this home in Annandale, N.J. This original window allows light to pass from the living room into the new mudroom and makes it easy to see where the original home ends and the new addition begins. The character of the historic N.J. home is preserved. Susan’s architectural expertise, commitment to historical integrity and attention to clients’ desires produce homes that subtly preserve their original, charming characteristics but are thoroughly, elegantly updated for 21st-century lifestyles. “I’ve done my job if the client is happy and the project pays proper respect to the home’s original essence,” Susan says. To contact Susan Rochelle, A.I.A. Architect, based in Hunterdon County, N.J., call 908-238-9200. ©2013 Susan Rochelle, AIA. All rights reserved.